This daisy grubber is a traditional and effective weed puller designed specifically to deal with short-rooted weeds such as daisies - without using chemicals. 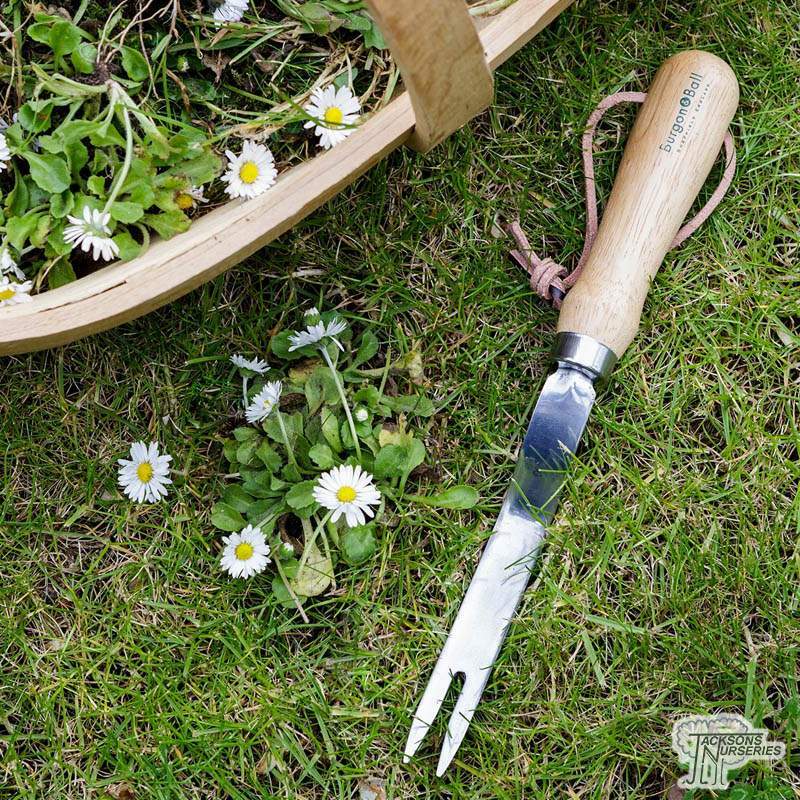 The smooth stainless steel finish allows the daisy grubber to slide easily into the soil to lever the weed out of the ground, roots and all. The stainless steel of this weed removing tool is extremely resistant to rust, so will stay looking good for years to come. A strong leather cord allows the weeder to be hung up when not in use, to keep things tidy in the shed.